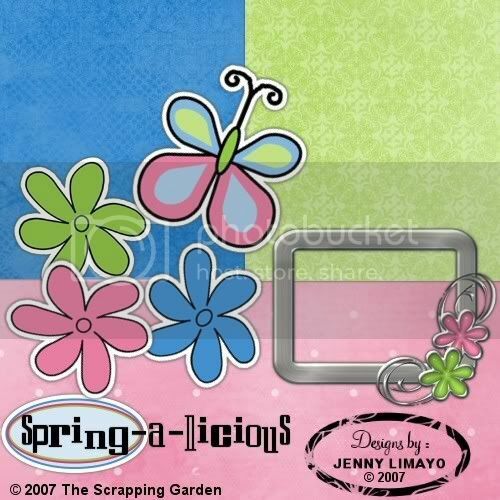 This is my contribution for the The Scrapping Garden's promo on the new digital magazine that will be released on April. I don't know the name of the mag yet but all i know is that all of their subscribers will get a FREE digi Megakit from us named Spring-a-licious. I love the color scheme that we had and i already saw my other co-designer's contribution and i know this will be an awesome kit. I update you all once it is available. So watch out for updates on where you can get this.